Marie has experience working in all aspects of litigation, including aggressive discovery and extensive law and motion work, consisting of pre-trial and post-trial motions and oral arguments before superior courts across Los Angeles County. Prior to joining Chuck & Tsoong, Marie worked as a civil litigation associate in the areas of consumer law and real estate litigation with a concentration in residential and commercial real property, including breaches of contracts, landlord-tenant disputes, homeowner's association disputes, seller and broker misrepresentation and non-disclosures, and adjoining landowner and boundary disputes. Marie earned her J.D. from the University of San Diego School of Law and received her undergraduate degree from UCLA. 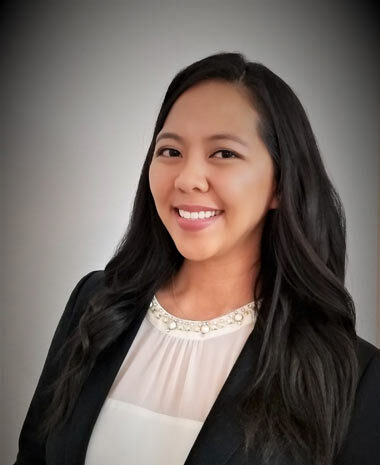 Marie is a member of the Philippine American Bar Association and volunteers with Asian Americans Advancing Justice and the Alliance for Children’s Rights.